Smoking makes you more likely to get cataracts, optic nerve damage, and macular degeneration. Here at 20/20 Eyeglass Superstore, we help thousands of Orlando, Melbourne City and Orange City residents purchase eyeglasses, contact lenses and sunglasses every day. We know purchasing new eyeglasses can be a challenge. Inexpensive reading glasses at the store are cheaper than prescription lenses. Is visiting an eye doctor and getting a prescription worth the extra cost? 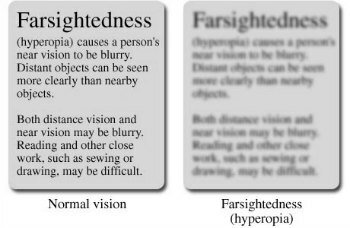 Farsightedness means that it’s easy for you to see things that are far away, but your close-up vision is blurry. You are more likely to have farsightedness if your parents have this condition. It often develops in adults as the lenses of your eyes age. Make an appointment with an eye doctor if your vision is blurry when looking at objects up close. He or she can easily diagnose farsightedness during a basic eye examination. The simplest way to correct farsightedness is to get prescription eyeglasses or contact lenses. These corrective lenses change the way light enters your eyes, helping you focus better. Farsightedness is not something you can prevent. However, there are things you can do to take care of your eyes. Getting regular eye exams can help catch problems before they worsen. human Your eye is an amazing organ that most of us rely on every waking moment of the day. From morning till night, our vision allows us to see beautiful Florida sunsets, our beloved family and much more. Here at 20/20 Eyeglass Superstore, our main goal is to keep you up-to-date on everything related to eye care and eye health. Call your eye doctor immediately if you notice any sudden changes in your vision. If the eyes are in fact the windows to our soul, we want them to be accented in the most flattering way possible, right? But … we’re creatures of beauty habit and can easily get a bit lazy and fall into a make up rut. The cool thing about eye makeup products today, is that there are all sorts of eyeshadow tools — from powders to creams — to suit your needs. Plus, we’ve noticed that smoky eye makeup is no longer limited to just grays, charcoals, silvers, etc. — now you can create that sultry look using the color that best suits you, whether it’s blue, purple or an earthy tone. Once you discover your most fab eyeshadow shade, Shaw has a tip for you: The key to eyeshadow is … blending. So whether you use your finger, makeup brushes or a sponge, make sure to blend it well. 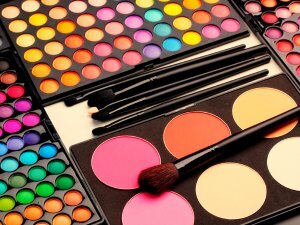 Every woman wants to look good wearing eyeshadow male them look more beautiful, so it is very important to find the eye makeup that’ll perfectly accentuate your big blues, browns or greens. 20/20 Eyeglass Superstore, a frame for every face and a price for every budget. 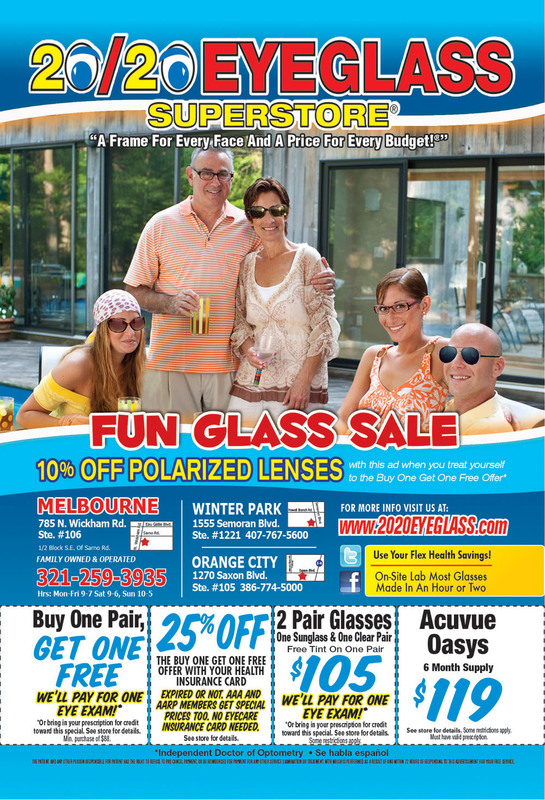 With 3 convenient locations in Winter Park, Melbourne and Orange City, 20/20 Eyeglass offers friendly service, quality eye care and a collection of over 4,000 frames for the whole family to choose from. 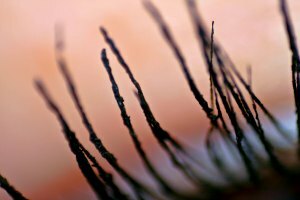 Mascara is probably one of the favorite make-up products; however, the harmful ingredients in mascara. Until recently, never think twice about putting on mascara. It makes my eyes look brighter and all of my features stand out more. Yet, there are harmful ingredients in mascara. After all, no one wants to have harmful ingredients near their eyes. Avoiding the following ingredients in mascara will help you steer clear of anything harmful. Coal tar dyes contain heavy metals and are carcinogenic. Although you only put the mascara on your eyelashes, some of the harmful ingredients can still be absorbed into your bloodstream. Fragrance can be very irritating, especially to the eyes. Therefore, it is best to avoid mascara that has fragrance in it. Formaldehyde was in high school biology class during dissections. As it turns out, formaldehyde is used in mascara as a preservative,Since it is a known carcinogen, formaldehyde is not something you don’t want near your eyes. The harmful effect parabens have on hormones. BHA and BHT can affect hormones negatively, are carcinogenic, and are harmful to aquatic and land animals. Propylene Glycol can cause dermatological and respiratory issues. Some of the problems it can cause include acne, eczema, and rashes, none of which are desirable. We’ve rounded up seven makeup mistakes girls who wear glasses should avoid. Check them out below! 1. If your brows are messy and unruly, apply a clear brow shaper AFTER color application. 2. 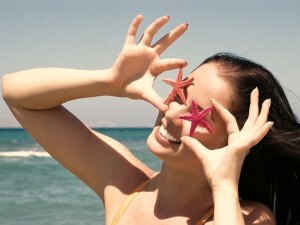 If you have a lot of under-eye darkness, skip lining the lower lash line as it will only draw attention to the problem. 3. Always curl your lashes before you apply mascara, otherwise you may break your lashes. 4. The glass in your frames can highlight under-eye discoloration and darkness. 5. If you have redness around your eyes, stay away from shadows with red or purple undertones. 6. The color of your eyeshadow shouldn’t compete with the color of your glasses. 7. When you have a mix of confident colors on your hair, lips and frames, keep your eye makeup simple. Our eye is an amazing organ that most of us rely on every waking moment of the day. The eyes have it — strain, that is. As our enthusiasm for using computers, tablets and phones grows, our eyes are paying the price. 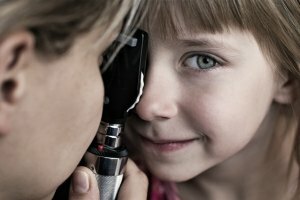 Upward of 90 percent of computer and device users experience a problem so common there’s a name for it: computer vision syndrome (CVS). CVS comes with symptoms such as decreased or blurred vision, burning or stinging eyes, sensitivity to light, headaches, and back and neck pain. The best angle, the center of the monitor, tablet or phone should be 20 to 28 inches from your eyes and 4 to 5 inches below eye level. Position your screen to avoid glare from overhead lights or windows. Every 20 minutes, look away from your computer and look at a distant object for 20 seconds. To reduce the risk of dry eye, remind yourself to blink more often. And refresh your eyes periodically with lubricating eye drops. Uncorrected vision problems — farsightedness or astigmatism, problems focusing or coordinating the eyes and changes associated with aging — can contribute to eyestrain and musculoskeletal pain. Even if you don’t need glasses or contacts for daily activities, you may need them for computer or device use. If you do wear glasses or contacts and need to tilt your head or lean toward the screen to see it clearly, your lens prescription may need to be adjusted. Are you are facing eye problem like puffy eyes, baggy eyes, farsightedness or astigmatism it is always a good idea to consult your eye doctor, so drop in at 20/20 EyeGlass Superstore we are always ready to help you anytime. We also have Independent Optometrists located on site who will be happy to examine your vision. Walk-in’s are welcome but we ask that you come 15 minutes prior to your desired appointment time.